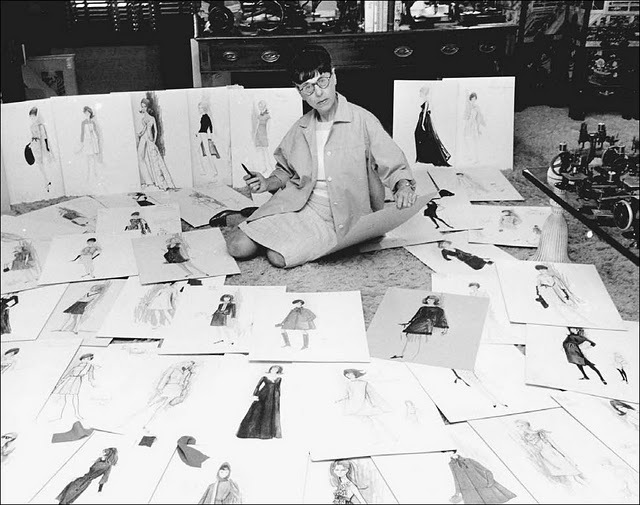 GingerNifty: Happy Birthday, Edith Head! Google's doodle today honors Edith Head, who designed costumes for what seems like every movie made in the 1930-60's. She would've been 116 today. Her signature straight bangs and round glasses. It's said she often wore blue lenses to get an idea of what costumes would look like in black and white! I think every family has a few claims to fame in their history, and one of my favorites in mine is our connection to Edith Head. The story goes that my great-great-grandfather knew her rode horses with her in Mexico, where he lived. (When I posted about this on Facebook today, my aunt said she believes that Edith's husband designed my great-great grandparent's house as well.) I wish there was some way I could work that connection and get my hands on some of the gorgeous dresses she made! 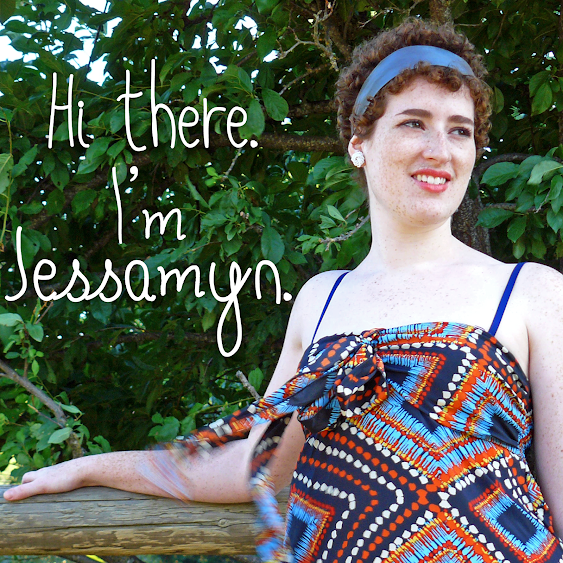 I remember my grandma telling me that story when I was younger, knowing I had an interest in costumes and fashion. 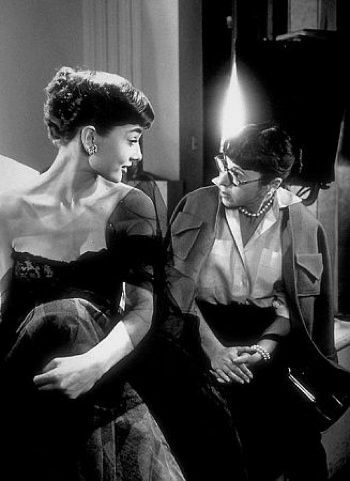 It wasn't until I was much older that I realized just what a big deal Edith Head was. As I've gotten into watching more classic movies, her name seems to pop up in the credits more often than not. Edith got her start doing costume sketches for Paramount, where she stayed for 43 years before switching to Universal. She was completely untrained and had been a French teacher for girls before applying. She eventually admitted that she had used sketches from her students at her interview! 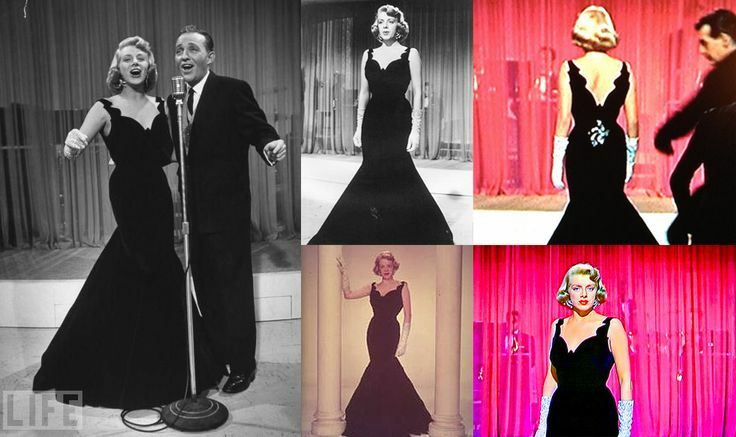 I love, love, love Rosemary Clooney's gowns in White Christmas! Grace Kelly's detailed dress from Rear Window. Edith was said to be easier to work with than many of the male designers of the day, and did a lot of consulting for Hollywood's leading ladies. She worked with Alfred Hitchcock frequently. She was even asked to design a women's uniform for the US Coast Guard! Edith is said to be the inspiration behind designer Edna Mode in The Incredibles. 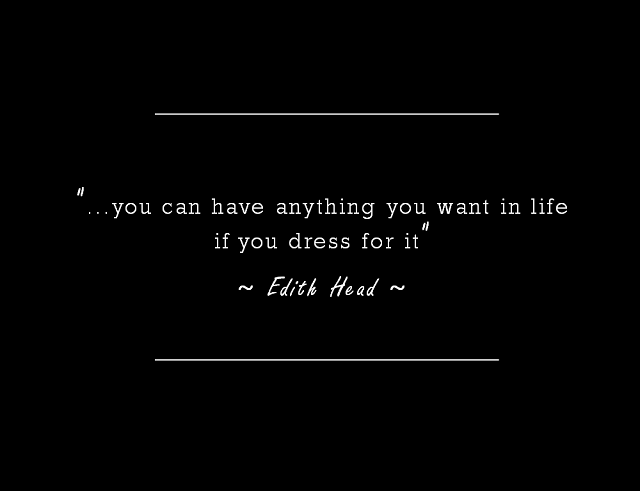 Do you have a favorite quote or design of Edith's? Share it in the comments!